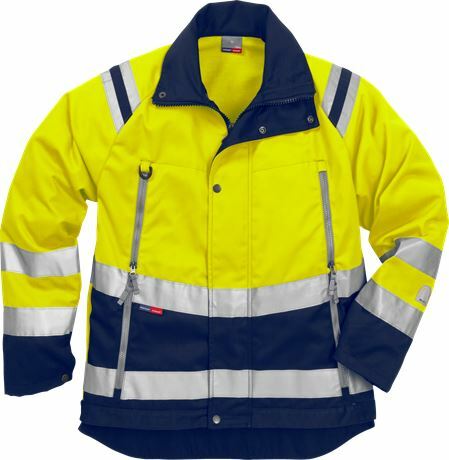 Front placket opening with zip to top of collar and snap fastening / 2 chest pockets with zip / 2 front pockets with zip / Inside pockets with button / Inside phone pocket with velcro fastening / D-ring / Adjustable waist and cuffs / Extended back / Reflective detail on shoulders / Approved according to EN ISO 20471 class 2 – sizes XS and class 3 – S - 3XL / Can be used with detachable lining 100475 / Leasing laundry-tested according to ISO 15797 / OEKO-TEX® certified. 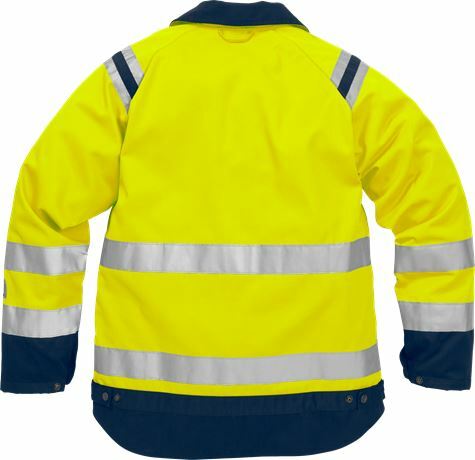 Material: 80% polyester, 20% cotton, dirt, oil and water repellent. Other material in 65% polyester, 35% cotton.